To have a special room, where you can be surrounded by your favorite things without being over-whelmed, switching your mind off and reconnecting with your spirit, can be very healing to the soul. Keeping your life clutter free is in and of itself a way to release stress and relax. A clean, uncluttered home is a happier home. Guilt over leaving things undone (the piles) dissipates and you will have more quality time to spend with loved ones — or on simply treating yourself to your favcorite activities. 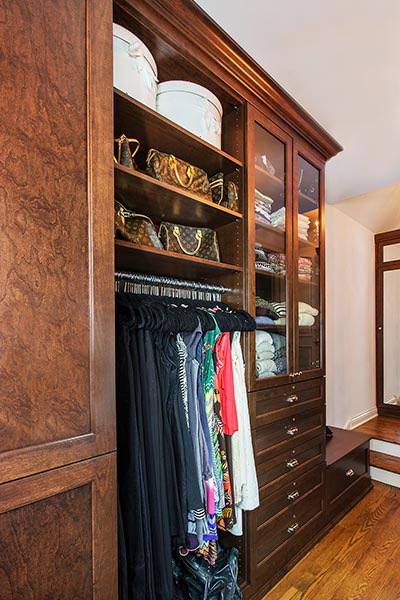 Contact Closet Works when you feel the need to build your own personal, relaxing walkin closet sanctuary like this one. The understated beauty of this traditional design captures the essence of a bygone era, when ballrooms were busy with beautiful ladies twirling across the floor in full length gowns. 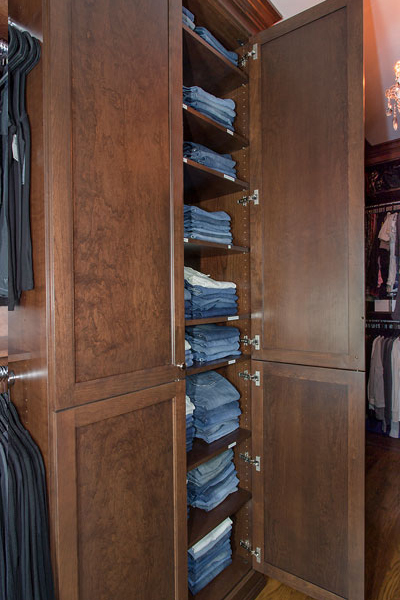 Designed to take the place your personal valet, this closet features plenty of organized storage to keep everything in its place, yet always available at your fingertips. 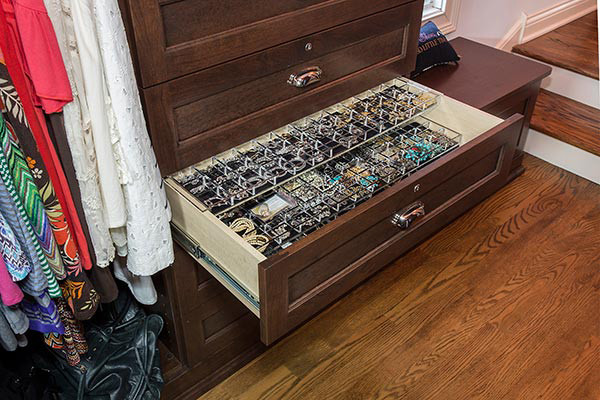 The inclusion of cabinets, hanging rods, mirrors, countertops and drawers with custom features like jewelry inserts ensure the ideal storage for all your belongings. 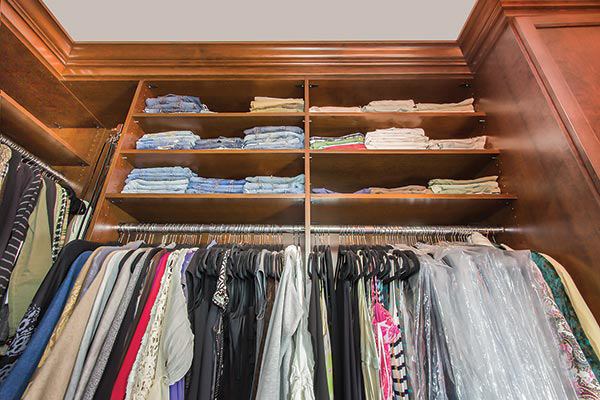 This closet is designed in a "U" shape, wrapping around a center penninsula and dividing formal from informal attire for easy wardrobe organization. Cocoa Cherry stain brings out the natural wood grain and a satin gloss finish compliments this all wood custom closet system.